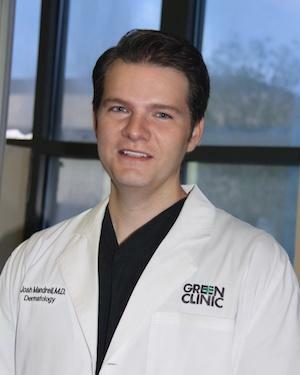 Dr. Mandrell finds the variability in dermatology to be exciting. He diagnoses and treats many dermatological disorders affecting the skin, hair, or nails. These disorders range from a complicated rash to simple acne. Dr. Mandrell also performs Mohs microscopic surgery, mole checks, and laser or Botox treatments for cosmetics. Dr. Mandrell is now accepting new patients.